As 2011 comes to an end I’m finding myself stuck in a reflective and thoughtful mood. It’s the time of year for tinsel and turkey but also the time of year to think of what we’ve achieved, what we’re disappointed we haven’t achieved and what we hope to get from the coming new year. As an avid reader who surrounds myself with books I have invariably ended up musing on the books that made 2011 for me. So I thought I would jot down my thoughts here and share them all with you. 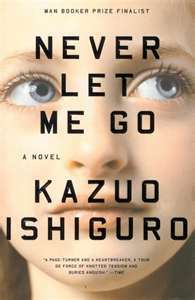 The first book that really blew me away this year was Never Let Me Go by Kazuo Ishiguro, I was given the book for valentine’s day and the story of fated love set to the back drop of a speculative version of England made for an interesting and emotional parody to the traditional love story. I certainly had a book hugging moment when reading Never Let Me Go, how could I not? The next book to really grip me was Room by Emma Donoghue. The hype of this book seemed to escape me and when I was handed a copy it was with little appreciation that I began reading it. But Donoghue’s magic didn’t fail me for long and I was soon exchanging sleep for stolen hours reading this book late into the night (that sounds almost like a love affair doesn’t it?). But I really did love this book and would highly recommend it to anyone who hasn’t read it. 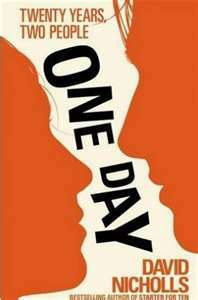 One Day is another book that really made my 2011 reading experience. The story is simple enough but it’s told with such a frank and honest approach that I found the novel and it’s messages deeply moving and engaging; for me the perfect reading experience. Another book to captivate my attention and stick with me this year turned out to be Grace Williams Says It loud by Emma Henderson. How could I not be blown away by this book? Henderson shines a light on a subject that is rarely explored and does this in such a candid manner that the book is a shocking but emotional page turner that’s hard to forget. 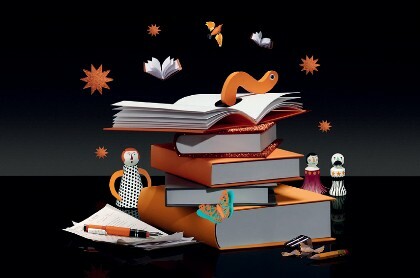 Carrying on with the Orange Prize theme I also read and loved the debut novel Annabel. Although I will admit that my interest in the book waned towards the end overall I loved this book, I found her voice powerful and inspiring; this book is simply one of the most pleasurable books I’ve read this year. 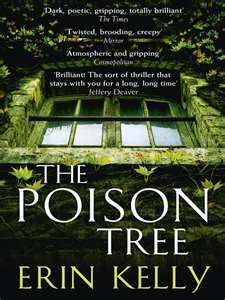 One of my favorite books this year and one I’m not likely to forget (or shut about anytime soon) is The Poison Tree by Erin Kelly. This novel epitomizes my ideal book, secrecy, scandal, mystery and complex relations; this book ticks all the boxes and had me gripped from day one. If you haven’t read this book I’d highly recommend you do. Colette is a writer I discovered in 2011 and her novella Gigi is a book that really stands out for me and was a pleasure to read. The glimpse of life as a society girl for Gigi in late Paris was delectable and really made a sunny day spent in Spain an extra treat. And lastly a book I had low expectations for but loved was The Girls by Lori Lansen. It’s a story about Conjoined Twins and it’s one of those rare novels that in one breath has you crying in sorrow and in another smiling and filled with joy at the beautiful outlook on life that Lansen possesses. So there the books that I’m most thankful to have read this year and the one’s that I wont forget. I may at some point decide to reflect on the books that really didn’t do it for me and the one’s that let me down. But what about everyone else? What books did you love this year, what would you recommend, what can you not stop talking about? I’m a little slow to join in with Simon’s latest meme ‘One book, Two Book, Three Book, Four and Five” but when I saw that he was running this wonderful and interactive post again I couldn’t resist getting involved. 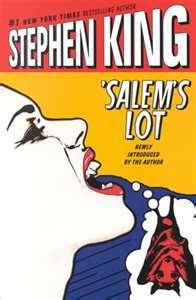 I’m currently reading Salem’s Lot by Stephen King and I hate to say it but wow am I struggling to get into this book. It probably doesn’t help that I’ve been in a total reading slump of late but still this book has proved hard work. I actually started reading it a month ago and just couldn’t get past the first chapter so I put it down and started it again. I’m still not very far into it but I hear it’s a slow burner and the pay off is worth it….fingers crossed. 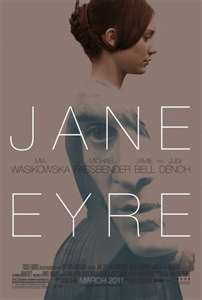 This was the wonderful Jane Eyre, a book that despite taking an age to get through was totally worth it and utterly charming throughout. It’s part of my Day Zero Challenge to read 10 literary classic and what a brilliant way to kick things off. Which classic should I read next? I’m struggling with this one because like I said I have been in a reading slump. I feel therefore very uninspired by the books around me. That said I’ve just joined a new library at college and every time I walk past the literary section I feel like I’m walking through Aladdin’s cave. That said I think my next book will be The Girl With a Dragon Tattoo that I asked for and was given last Christmas and still haven’t read. I had to really think about this because I never by books, I usually wait till I’m at my favourite second-hand shop back home and go on a splurge. But the last time I parted with my cash it was to buy Annabel. Off course the book is only out in hard back so I grumbled a lot a the till but O it was so worth it so I mustn’t complain. 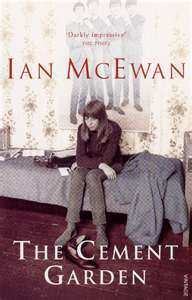 A very kind friend of mine recently sent me The Cement Garden by Ian McEwan. I have actually read this book before but a long time ago and I adore McEwan so I’m happy this book has found its way to me for a much need, and in my case unprecedented re read. I remember being quite disturbed but I also found it incredibly thrilling. Hope I enjoy it as much the second time round. So there my answers, what about everyone else? If you do decide to join in then remember to leave your link on Simon’s Site, and thanks to Simon for the brilliant meme. I’ve often wondered if I’m alone in experiencing the frustrations of extreme reading highs and lows. You may know what I mean but in case I’m making no sense let me explain. You start a book and the first 100 or so pages or a blur of reading frenzy. No sooner have you opened the first page when your desperate to reach the last, and yet you never want to put the book down so delectable is it to you. But then somewhere in the middle or towards the end your focus starts to wane, your interest lessens in intensity and no longer are you up into the earlier hours reading but instead you’re struggling to get through more than 10 pages. It’s a curious and fairly regular recurring state of mind for me to find myself in, in fact it even happens with books I really like. I’ve just finished Annabel by Kathleen Winter, I loved this book as you will soon see from my imminent review, and yet towards the last 100 pages the book became slightly sluggish for me. It wasn’t Annabel that to me was accountable to blame. The book was incredible and in my opinion stayed in most parts superbly written to the end. And yet still I found my attention wandering. I felt impatient, keen to reach the end, my TBR list began to loom at me once more, demanding me to pay attention to a new story. This feeling seems to be increasing which leads me to think it really isn’t the books at fault but just my own lack of patience and desperation to start something new. And yet there are books that start off fabulously and then quickly ascend into dreary apathy and boredom. So do you experience reading highs and lows? And if you do is it because you too are keen to reach the end and start something new? 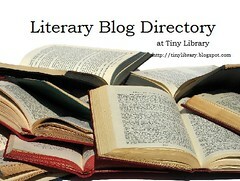 Or is it a problem you have experienced with particular books where you find the writer accountable? 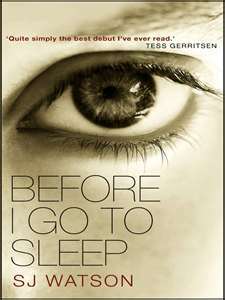 I loved for example Before I Go To Sleep from the very first page and was hooked from the word one. However towards the novels end all of the high praise I had been singing for this book began to fade. Had I made a mistake in claiming this to be one of the best books in 2011 I wondered. The ending to me was hasty and rushed giving me a huge feeling of coming down from a big reading high. So it would seem there are two different types of reading highs and lows. There are the one’s that for all I know, only myself in my impatience experience. And then there are those which we get from books that start with huge potential and then summit into poor writing, bad endings and stylistic flaws. Some writers just don’t seem to be able to maintain the perfection with which they execute the beginning of their stories and then carry it through to the end. Does anyone else find this frustrating? I’d love to hear your thoughts, do you have highs and lows? If so which type? Which writers have you found suffer from these writing highs and lows? And which books if any have had this effect of great excitement followed by extreme disappointment for you? After much excitement, anticipation, and a lot of second guessing at last a winner has been announced for this years Orange Prize for fiction. And the winner is Tea Obreht for her debut novel The Tigers Wife. The winner was announced last night at London’s Royal festival Hall, Southbank Centre. Can you even imagine how thrilled and elated Tea Obreht must still be feeling right now? I haven’t read The Tigers Wife yet which is a bit frustrating as I would love to be able to give a more informed response to this years winner. This books been firmly on my TBR list since it made the short list but so have a lot of other books and for some reason I kept choosing something else. I have to say I was a little surprised, going by other people’s preferences and opinions, I was sure either Annabel, Grace Williams Says it Loud or Room would win. Having read the last two I was happy to see either scoop the prize. I’ve also read mixed reviews of this book so was quite taken a back to see it be crowned the winner. That said you can never tell which way the judges are going to go for can you?And I’ve also read some amazing things about this book, it definitely sounds like an original and cleverly written piece of work so maybe I shouldnt be so surprised. Will I be reading this book? Definitely. Although I don’t like to read a book solely on the basis that it’s won an award, even one that I admire as much as the Orange Prize, I think your always primed for disappointment if you read something solely on this basis. However this book was already resting in my TBR pile and after reading the first chapter which is available to read for free here, thanks to the lovely people of Orange, I’m now a lot more curious than before. Have you read this book? Was it the book you wanted to win? Or the one you thought would win? Or are you surprised to see it scoop this years prize? Perhaps you wanted the award to go to someone else? Do tell me your thoughts. 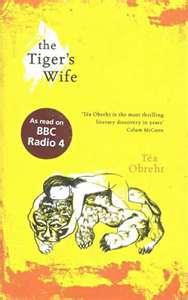 On a slightly seperate note I was also very shocked when I found out that not only was The Tigers Wife Tea Obreht’s debut novel she is also only twenty-five years old! and now she’s won this prestigious award. Perhaps because were the same age I was even more taken a back, what an amazing achievement for someone so young. Obreht has also produced a number of short stories which I think I’ll have a go at reading so hopefully I will be as bowled over by this up and coming writer as the Orang judges seem to have been. Will you be reading The Tigers Wife or any of her short stories? Or are you already a fan? Coming back to work this morning I suddenly realised that it was the 3rd of May!! Where does the time go? Another month has passed and with it some great reading too. So I thought it only right to share with you the books I’ve read and loved this month and to tell you about some of the incoming books that I endeavour to read in the month of May. 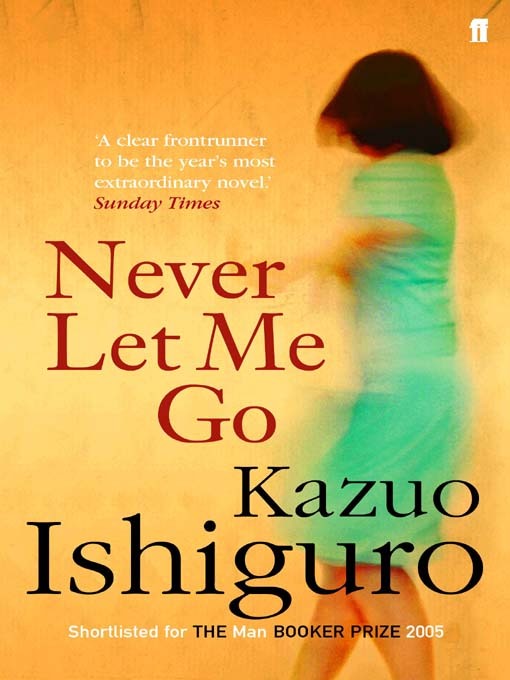 I started off April reading the wonderful Never Let Me Go by Kazuo Ishiguro, a book which I’m sure you can tell I absolutely adored. Never Let Me Go was the perfect way to kick start my April reading spree and to set my expectations high for the rest of the books I intended to read. 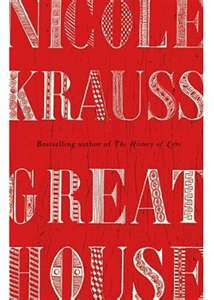 Looking back now I think it was possibly my most enjoyable read of April and certainly one of the most moving. The next book I chose was Sleeping With Mozart by Anthea Church, a book rather different in style, genre and effect to what I usually pick. It was however a wonderful book to read, without a doubt it shook up my reading habits in April, adding I think a little more diversity to the mix. Which on another thought got me thinking that I really need to mix up my reading choices more often. I was so pleasantly surprised to enjoy Sleeping With Mozart that I have endeavoured in the up and coming months to try previously ignored genres. Is there anything that you would recommend? I’ve being thinking of trying more crime fiction and recently this year I did come across Linwood Barclay’s No Time for Goodbye and loved it, perhaps you have read other books by Barclay that you would recommend? or maybe you can suggest some other great crime fiction books? However I digress. My third book of April was Grace Williams Says it Loud by Emma Henderson, a book that I was highly anticipating and one that I will be posting a review of very soon so please stay tuned for that. It certainly blew me away and was very thought provoking so I look forward to telling you more about it soon. Sadly from here my reading levels seemed to decrease a little and despite, or maybe in spite of the bank holidays I only fully read these three books. 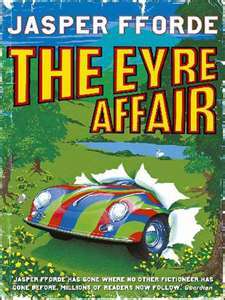 I did however start The Eyre Affair by Fforde for a book group I’m in and I’m just about finished that so please check in for a review very shortly. So far, given how much I am enjoying it, it looks set to be a positive review. Now onto my reading mission for May which is quite a large list so fingers crossed I’ll get through it all. The books range from recently acquired charity shop steals to books kindly handed to me by friends. First up I will of course endeavour to finish the Eyre Affair by Ffordes. 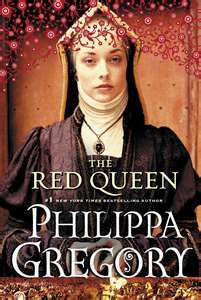 The Red Queen by Philippa Gregory is also high up on my list of books to read in May. I’m a huge Philippa Gregory so this is a book I have fairly high hopes for. Are you a Gregory fan? have you read The Red Queen and would you recommend it? I have also kindly being loaned a copy of The Report by Jessica Francis Kane, this was loaned to me by the lovely Simon at Savidge Reads. This book has been on my TBR list for a while so I’m thrilled to have my hands on a copy and can’t wait to read it. 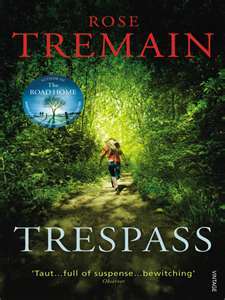 I was also sent a coy of Tresspass by Rose Tremain by my lovely mother in Newcastle and while it wasn’t a book I’d heard off it was recommended by Richard and Judy and I nearly always seem to enjoy the books they recommend so I can’t wait to get stuck into it. 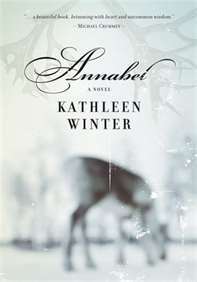 Annabel by Kathleen Winter is high at the top of my reading list for May with a mix of great reviews I’ve read of it and its short listing for the Orange Prize boosting it to the top of my TBR list. 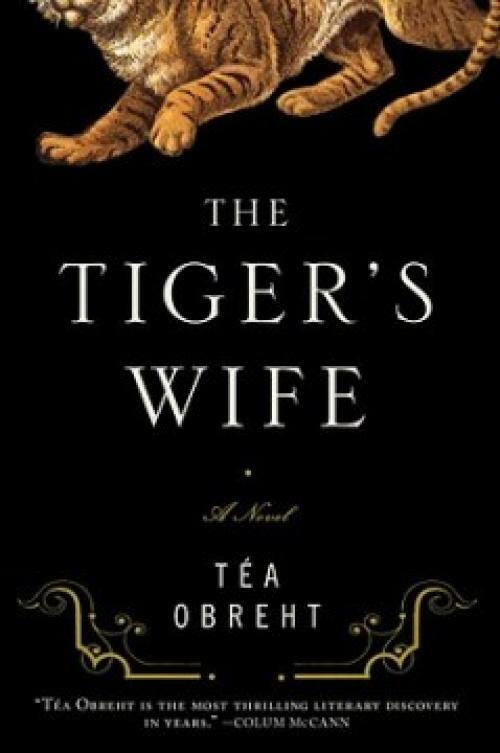 It’s the same with The Tigers Wife by Tea Obreht a book that I have also read some high praising reviews for and which is another nominee for the Orange Short list this year. Having read the synopsis I think this book could be a real treat. So that’s a round-up of the books I read in April and the ones I intend to read in May. Which of the books from both categories have you read? Is there anything from either that you really loved, or hated? Or is there anything you would recommend from my May mission list? Perhaps there’s another book entirely that you think I should read? I’d love to hear your thoughts as always. 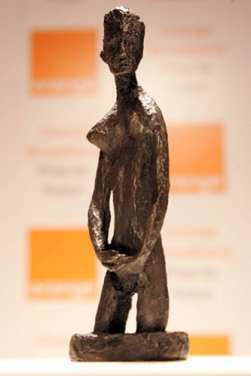 It seems like only five minutes ago that the long list was announced for the 2011 Orange award, where did the time go? So you can imagine my surprise this morning when an email dropped into my inbox announcing this years short list. Off course I was also extremely excited as this is an award I love and almost all of the books on the list have really grabbed my attention. So who’s made the cut? Despite my excitement over the event I must confess I’ve still only read Room by Emma Donoghue. Usually I would have devoured a lot more but my list of books to read this year seems to be higher than ever. However I do have whatever you love by Louise Doughty, Grace Williams say it loud by Emma Henderson and also Annabel by Kathleen Winter on my bookshelf at home crying out to be read. The long list was full of eye-catching gems that I desperately wanted to read but these are the three that really stuck out for me. I was a little disappointed to see that Whatever you love hadn’t made the short list as it was one of my highly anticipated reads, however I will still be reading it soon. I wonder if I will still be disappointed that it didn’t make the short list? Or if I will think that the decision was the right one? 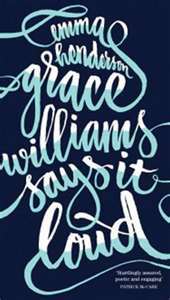 I’m also desperate to start Grace Williams say it loud. After reading the synopsis for it my first thought was I have to read this book! So I am really pleased to see it on the list, I hope it lives up to my expectations as it’s a book I’m extremely excited to read. I’ve heard great things about it so to see it on the short list is further fuelling my anticipation. Has anyone else read it yet? would you recommend it? I’ve also heard a lot of great things about Annabel, although I must confess that I slightly judged the book by the cover the first time I saw it, (a cardinal sin, I know) I found the cover quite foreboding and dark however from the buzz of winning praise surrounding this book at the moment, I clearly shouldn’t be perturbed by a cover, shame on me perhaps? Seeing it on the short list has sealed my interest so this is another book for the TBR list, wow it’s getting longer still. As previously mentioned I have already read Room and this ia book I just loved. The story gripped me from start to finish and it still lingers with me now so I’ am thrilled to see it on the list. The shortlist is as diverse as ever with three debut novels making the list and a variety of writers from around the world. Off course this is what is so good about the Orange award; the way in which it sheds light on such a broad scope of talent and celebrates the ability of both first time writers as well as long serving writers. I think it’s time to start getting stuck into the rest of the books, both the short list and the long list (I still want to read everything on there…all in good time). I wonder out of the three books I’ve mentioned on my TBR list, and indeed the whole of the short and long list is there anything you would strongly recommend? Anything that I just have to read? What do you think about the short list? Are you pleased with the finalists or is there a writer you really wanted to see but regrettably didn’t? I’d love to hear your thoughts. It’s that time of year again , the Orange Prize for Fiction have at long last announced the long list for this years award. The literary world and the internet have been abuzz with excited chatter about this years long list; some people seem to be thrilled with this years nominations, whilst I have noticed some disappointment about titles that haven’t made the grade. 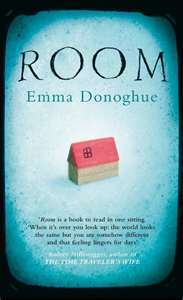 I must admit that I have, rather shamefully, only read one book on the list ‘Room’ by Emma Donoghue. I am thrilled to see this book on there as I recently read it and was just blown away by the story and the way that Donoghue writes. I wonder then will the other titles have quite the same effect on me? I’d love to get them all read by the announcement of the shortlist on April 12th but truthfully I think that’s a long shot, instead I wonder are there any books on the list that you would strongly recommend I read? I have recently purchased ‘Whatever You Love’ by Louise Doughty so that’s on my TBR list, has anyone one else read this yet? Can you recommend it as a good read? As I’ve said I’ve only read one title on the list so far, but I am looking to remedy this. The Orange Prize for Fiction is one of my favourite literary awards. I love that it shines the spotlight on female writers and celebrates newcomers too. I’d love to hear your thoughts on the award, are you pleased with the writers on this list, is there anything you really wanted to see on there but didn’t? Please let me know.